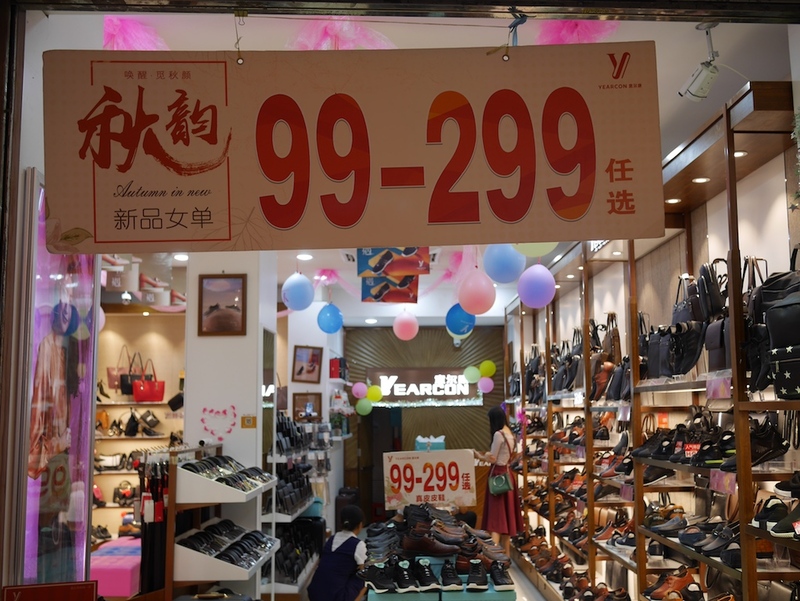 The eight day long holiday period in China combing National Day and Mid-Autumn Festival concluded yesterday. 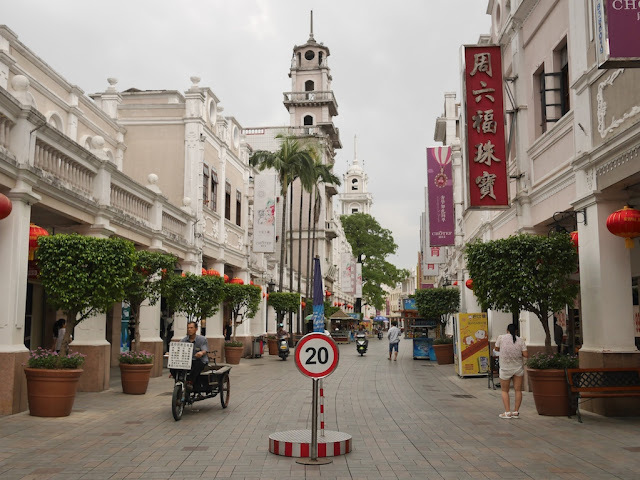 Today the Sun Wen West Road Pedestrian Street in Zhongshan was far less crowded then it was during the holiday. During the day small vehicles were permitted to use it, which made things a bit less pedestrian. The end of the holiday also meant the end of the related holiday sales, though a few persisted. But that didn't mean an end to sales. 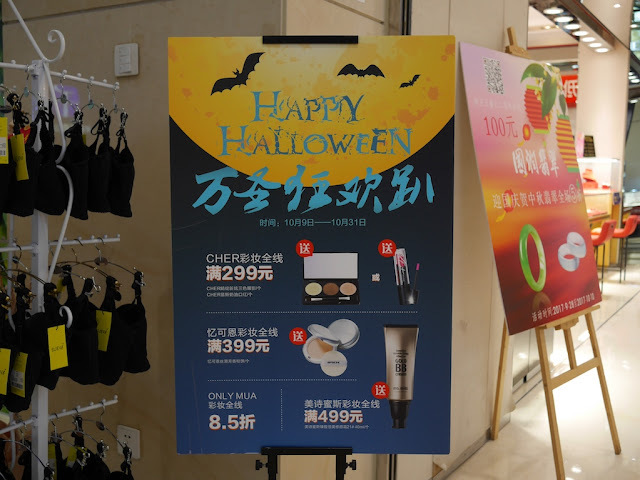 A number of stores now had Autumn sales, even though Autumn began over two weeks ago in the Northern Hemisphere and the temperature still reach over 90°F (32°C) daily in Zhongshan. But for at least one store, today was the beginning of a Halloween sale on cosmetics. And the year goes on . . .